The following table shows which parts of an Item Bank assessment can be edited and at what stages of use. Note: Edits can only be made by the user who originally created the assessment. 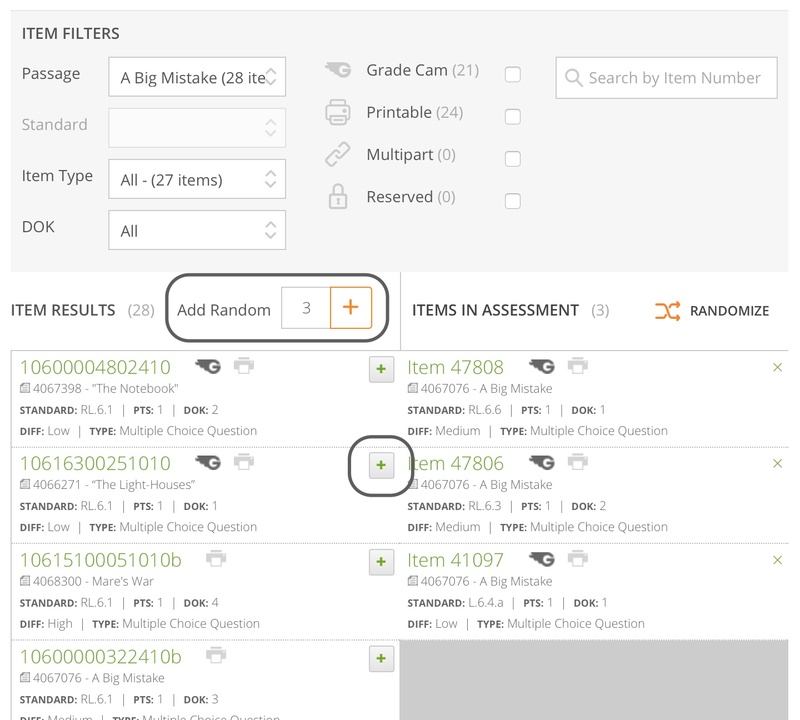 To find the item bank assessment, click on Assessments, and then click on Created. To narrow your search, use the filter options in the search bar. Once you have found the assessment, click on the assessment title. Then click the pencil icon at the top right of the assessment preview. Here, you can change your quiz title, description, or mastery cut scores. If this assessment is already in your tracker, these are the only edits you can make. To make any other edits, either delete the assessment from your tracker and then edit it, or clone the assessment, edit the cloned version, and then add it to your tracker. 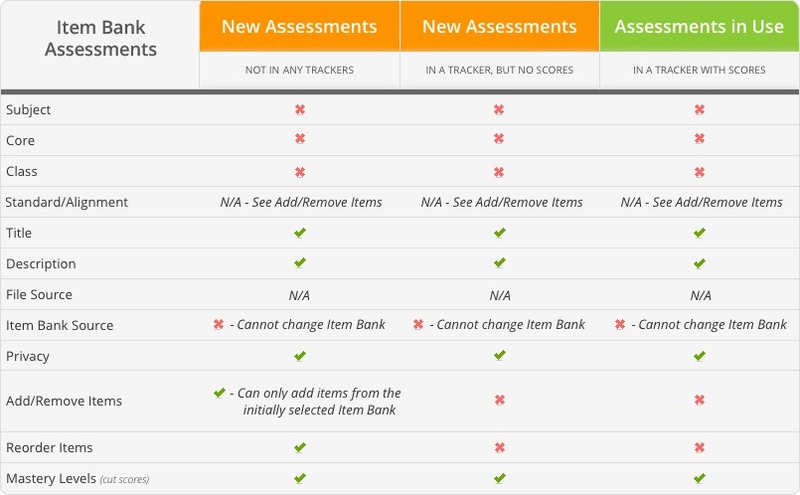 Please keep in mind that if you delete an assessment from your tracker you'll also delete any scores that have been entered for that assessment. To add questions to the assessment, click on the + next to the question you want to add. If you want to add a random amount of questions, enter the amount in the box and then click the shuffle icon next to it. To view the question before you add it, click on the question title, and then click on Add Item. To remove questions from the assessment, click on the X next to the question you want to remove. To view the question before you remove it, click on the question title, and then click on Remove Item. When you're finished editing, click on Save Changes.